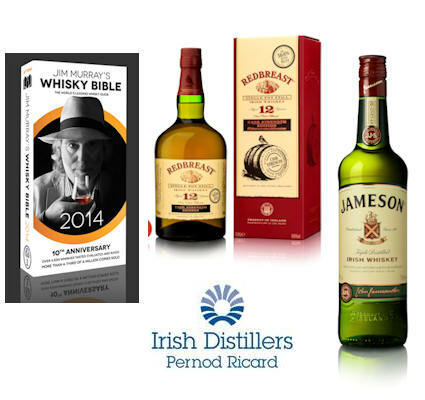 Jameson Original has been crowned ‘Irish Blend of the Year’ for the third year running in the recently-released 2014 edition of Jim Murray’s Whisky Bible. Recognising the consistent, crafted quality and smooth taste which has made the whiskey a worldwide favourite, Murray gave Jameson Original an impressive 95/100 points, remarking that he was “blown away as usual” and that “this very special whiskey remains in truly wondrous form”. 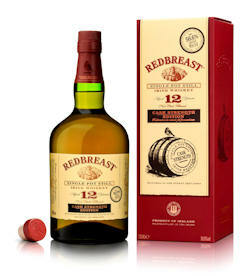 In further good news for Irish Distillers, Redbreast 12 Year Old Cask Strength whiskey was once again named both ‘Irish Whiskey of the Year’ and ‘Irish Pot Still of the Year’, with a record score for an Irish whiskey of 97/100 points, reinforcing Irish Distillers’ reputation for crafted excellence across all areas of the Irish Whiskey category. Irish Distillers’ Midleton 1991 Single Cask No. 48750 was Jim Murray’s next highest-scoring Irish whiskey, with 96.5 points. PADDY Centenary Edition, a pure pot still limited edition which was released in September to commemorate 100 years of the PADDY brand, was also scored highly, achieving 93 points. The success in Jim Murray’s Whisky Bible follows a momentous year for Irish Distillers, which saw the company unveil a host of new initiatives - including its new Garden Stillhouse and the first-ever Irish Whiskey Academy - as it aims to continue the Irish whiskey category’s consistently strong growth.